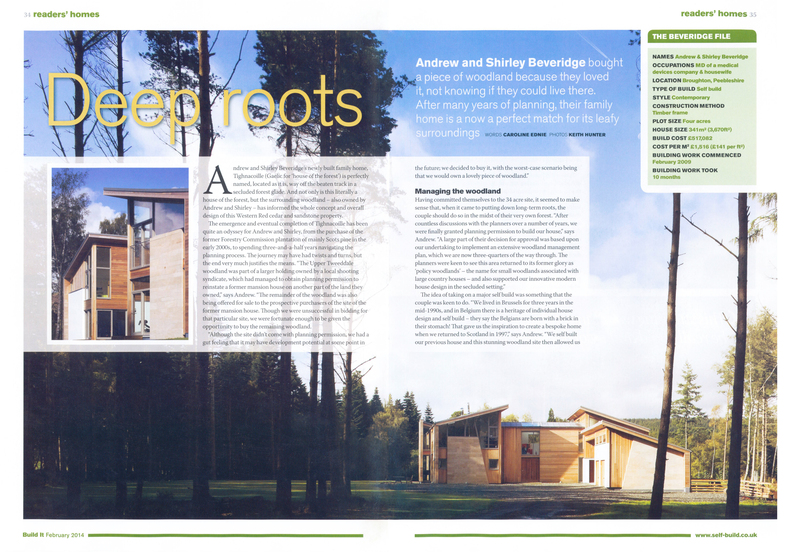 Lovely feature in current issue of BUILD IT Magazine (February 2014) of one of our projects in the Scottish Borders. Always nice to see completed projects in print. This entry was posted on January 9, 2014 at 5:07 pm and is filed under Uncategorized. You can follow any responses to this entry through the RSS 2.0 feed. You can leave a response, or trackback from your own site.